Ohio band Mourning [A] Blkstar is a “multi-generational, gender and genre non-conforming amalgam of Black Culture dedicated to servicing the stories and songs of the apocalyptic diaspora.” They define the sound of their sophomore album, The Garner Poems, as “Afro futurist soul music, balancing hip hop production techniques with lo fi experimentation to create a sonic suite that eulogizes victims of police brutality.” These eulogies, or poems, serve as both a force of light and a schematic for hope, survival and independence. RA Washington, music director and keyboardist, says their new release is a reflection of M[A]B’s growth as a group. 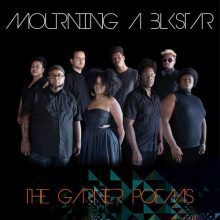 In comparison with Blk Muzak, their 2017 debut album, The Garner Poems represents the bands’ concern for the way that they and others, as a collective, respond to oppression. Musically, they wanted each song on the album to be interconnected, like an extended conversation. 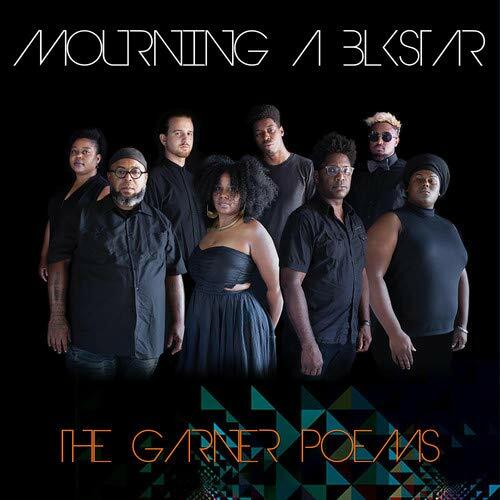 “Three Stars Collide” and “The Box,” as well as the title track, “Garner Poem,” represent aspects of the funeral dirge, which are songs sung during the period of public morning proceeding a burial. Throughout “Three Stars Collide,” the singer evokes the names of various black people who were killed at the hands of police. This song, along with other tracks such as “Bullet,” represents solidarity with the families of the deceased and the need for communities to stand together against police brutality and other unjust and senseless murders of black people. This entry was posted in Rhythm & Blues, Soul, Funk and tagged Bobby Davis, CD review, Electric Cowbell, Mourning [A] Blkstar, Soul, The Garner Poems by aaamc. Bookmark the permalink.